By now, you have probably heard that our bodies are filled with billions of bacteria, both good and bad. While most of the time, the good outweigh the bad and keep them under control, it doesn’t take much for the bad guys to take over. Since about 80 percent of our immune system is located in our gut bacteria, it’s important that we make sure that this good/bad balance stays in check. This is most easily done by taking a probiotic supplement. This means that by taking probiotics, you can help your body to naturally fight off cold and flu viruses. If you get sick and need to take antibiotics, consuming probiotics can help prevent a yeast infection and restore the delicate balance in your digestive system. Not all Probiotics are the made the same, however. 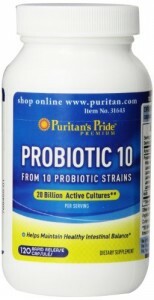 We are going to let you in on the top 10 probiotic supplements around, so you can pick the one that works best for you. 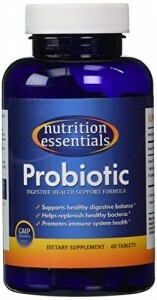 This is a super powerful probiotic supplement. Each capsule has 50 billion cultures and 10 different strains of Probiotics! 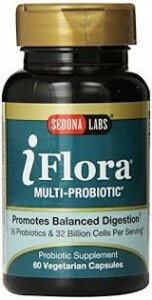 This delay released formula makes sure that you get all the good bacteria that you need each day. This supplement is very good and, perhaps best of all, reasonably priced. 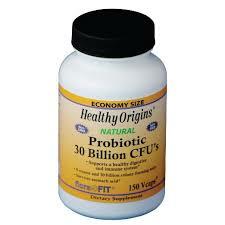 Healthy Origins has 30 billion cultures and 8 different probiotic strains for improved digestive health. This product is also shelf stable, so you can buy in bulk and not have to worry about it going bad. With each capsule containing 25 billion active cultures and 10 different probiotic strains, this supplement will greatly improve your digestive and immune system health. This supplement is diary, wheat, and gluten free, which makes it perfect for vegans and those with dietary restrictions. 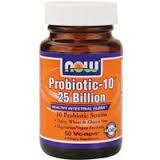 This effective, yet affordable, supplement offers 14 billion active cultures and 8 different probiotic strains. While it might seem a bit skimpy on the active culture end, this product is so affordable that you can always take two capsules if need be. Everyone knows this famous internet doctor, so is it any wonder that he’s got his own supplement? 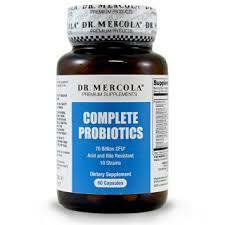 Dr. Mercola’s capsules contain 70 billion active cultures and 10 different probiotic strains. A coated capsule ensures no stomach upset and this product has an 18 month shelf life. 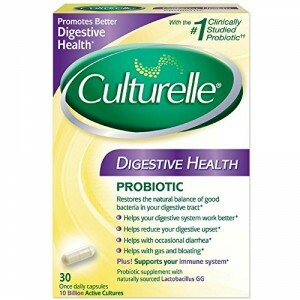 For those who eat plenty of other probiotic filled food, such as yogurt, but want to add a little extra insurance, Culturelle is a sure bet. With 10 billion active cultures, this single, yet effective, probiotic strain can support a healthy digestive system and help to keep the natural balance of bacteria in the intestines. This supplement has an amazing number of strains; 16 in each capsule and 32 billion active cultures. This will support a healthy immune system, digestive system, and encourage regular bowel movements. This product is vegetarian, but not vegan. This might be a bit more expensive than most, however, with 2 capsules per serving. Puritan’s rapid release supplement has 20 billion live cultures and 10 different strains, making it effective and well balanced. It does have a lower overall live culture count than some others, but is reasonably priced. While this supplement is on the low side of active cultures at 5 billion, it has more strains than any other product at a whopping 15 per gel coated pills. Not capsules, but a unique gel coated pill ensures that the Probiotics make it past the stomach and into the intestines. This product is designed to get more live Probiotics into the lower part of the intestinal tract where they can do the most good. 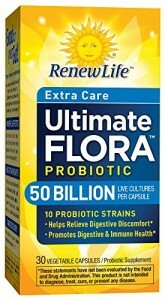 This is one of Amazon’s top selling probiotic supplements and it’s easy to see why. 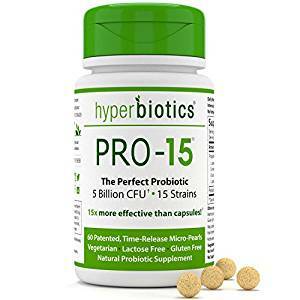 With a basic formula of 15 million live cultures and tons of positive reviews, this is a good, all around probiotic that appears to get results! By keeping your immune system healthy, you can avoid those annual flu shots! Also, a healthy digestive tract means healthy bowel movements and while no one likes to talk about that in public, it’s still a fact of life. It’s a good idea to add Probiotics to your daily diet for three months to allow the bacteria time to “set up house” so to speak, and then a weekly dose should keep you in the pink!